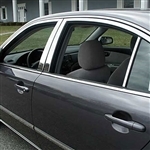 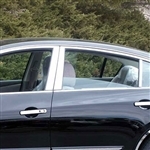 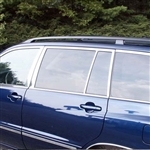 Chrome Window Trim Packages from ShopSAR.com are made of the finest stainless steel polished to a chrome finish and specially designed for the year make, and model of your vehicle. 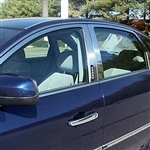 Each piece is designed for a perfect fit, surrounding your window in a gleaming mirror finish. 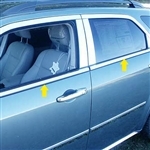 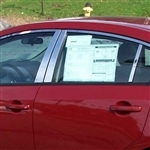 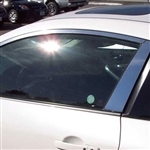 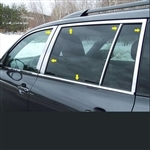 Installs easily around your vehicle's windows with 3M adhesive. 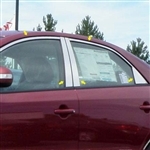 No drilling and no cutting. 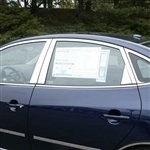 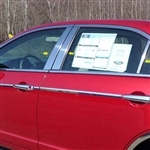 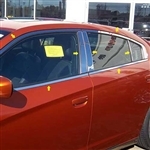 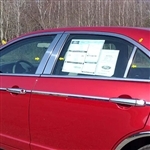 These chrome window trim sets may include pillar posts and window sill trim which may be available separately - shop by vehicle to check for availability. 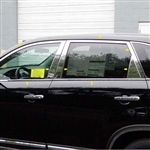 ShopSAR.com features Chevy Silverado Chrome Window Trim, Dodge Ram Chrome Window Surround Packages, Cadillac Escalade Chrome Window Accents, as well as for luxury vehichles like Lincoln Town Car and Cadillac CTS, XT5, and SRX stainless steel window trim covers. 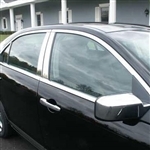 This bright mirror trim gives a high-end appearance inexpensively and with minimal effort. 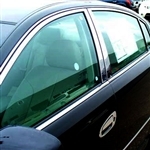 Chrome Window Trim gives a look of luxury that you can achieve in minutes. 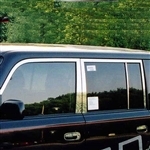 Our Chrome Window packages are highest quality stainless steel, precision-cut with lasers to custom fit each vehicle perfectly. 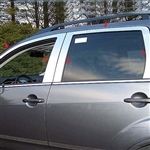 They are backed with automotive grade 3M foam adhesive tape for a permanent bond to last the life of your vehicle, no matter what the weather or how many car washes you subject them to. 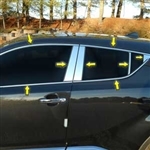 All chrome window trim packages come in a complete set to fit both sides of your vehicle, in a variety of sizes to cover different sections of your windows.